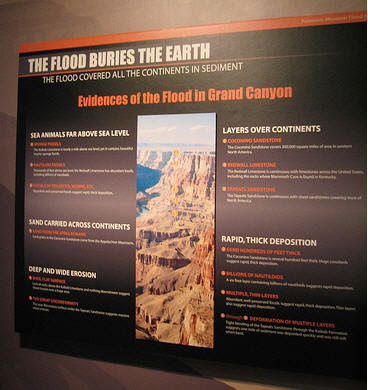 …the Kentucky hall of creationist irrationality. Check out this collection of photos on Flickr. Arghh! This trend of anti-science nonsense really scares me. And that is the point…it is anti-science. It is anti-the progress we have already made! I’m gonna nip this post in the bud before I really start ranting. I’ve never heard of the floating forest before, it makes such perfect sense, a large forest of deep rooted trees floating on water, I wonder why my textbooks never had that theory?